Sorry, The Rosegate House is permanently closed. New Orleans’s historical past is legendarily rich, feverous and so deeply rooted that even hurricane Katrina couldn’t destroy the ghostly aura of the famous port city. From the European colonization era of the New Continent to the establishment of the “Big Easy” as an economically significant location by way of slavery, New Orleans became the quintessential “Old South.” With swampy legends, syncretic mysticism, rebellious revolts and their forgotten heroes, the cultural radiance of New Orleans has inspired countless artists, musicians and writers who found a new adventure at each corner of the town. The mansion at 1239 First Street is commonly known as The Rosegate House because of the rosette pattern of its fence. It’s widely considered to be one of the most canonic examples of how New Orleans’s past morphed in American pop culture. Built in 1857 for a “nouveau riche” family by architects, the imposing mansion is one of those neoclassical hodgepodges that borrows a bit from every architectural style. 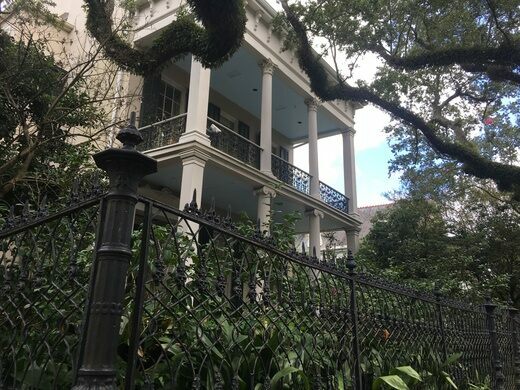 Its Greek revival colonnades, Italianate flourishes and a hexagonal window all mix with surprising elegance that matches the other luxury estates of the Gardens District. But the neighborhood is less famous for its fancy houses than for its regularly reported paranormal activity. Stories of ghosts waltzing in colonial manors or dead brides wandering the streets have made the Chestnut and First Street area a Disneyland of spook houses. The 1239 is no exception, of course, as Miss Pamela Starr Crapp, who lived in the house at the turn of the century, is said to appear in the living room, as was vigorously claimed by the owners of the home during the 1950s. 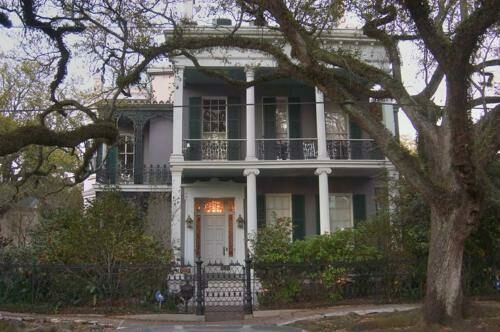 But the more popular occult manifestation of the Rosegate House is not Pamela but the Mayfairs – a family of witches invented by Gothic fiction author Anne Rice, who bought the house with her husband in the late ’90s. 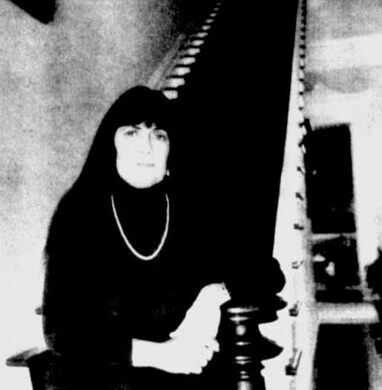 Rice used her new home as a setting for her Louisianan occult novels. Every corner of the Rosegate – the stairs, the elevator, the swimming pool – serves as a narrative setting in her sorceress sagas as the house became, like Suzanne, Deborah or Julian Mayfair, one of the most important characters in the novels. And who could resist? The beautiful home is a gilded example of New Orleans bourgeois decadence. As a sort of pop culture exorcism, the novelist resided in the old mansion for years and never claimed to see Pamela’s ghost during the 15 years she spent in Rosegate House. 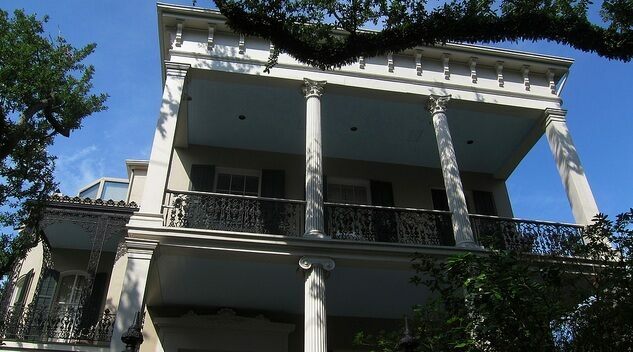 Even as Rice became one of the world’s premier ambassadors for “haunted New Orleans” though her fantastic fictions, she was reportedly quite intimidated by the idea of witnessing her own domestic ghost Pamela, arguing in the press she would have not mentally survived an experience with the spectral manifestation. This is a private home and the owner has requested not to reveal the address to tourists for the sake of privacy.